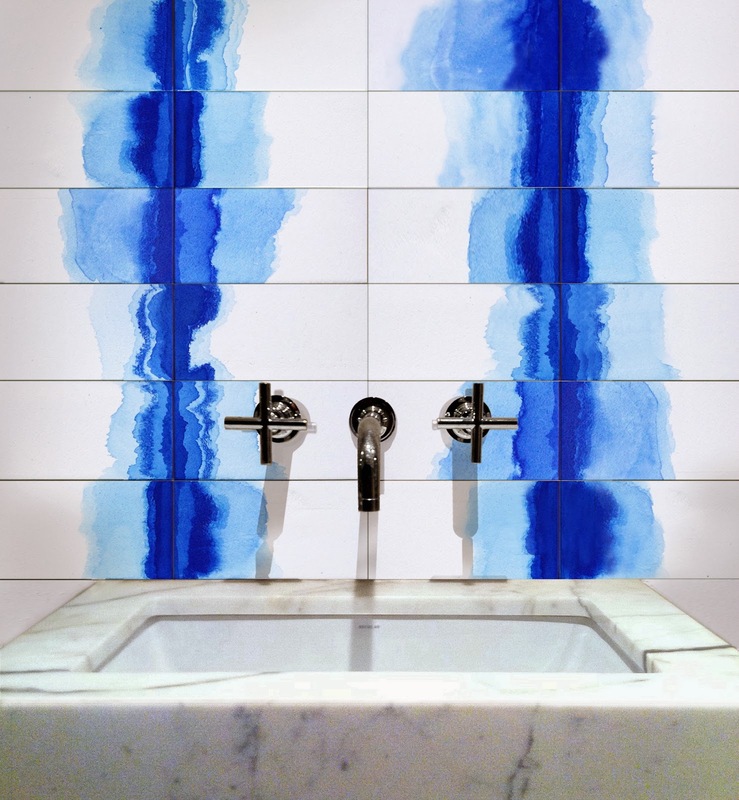 At the helm of her company Tilevera, Sculptor Deborah Osburn has been designing and manufucturing tile for the past twenty five years. 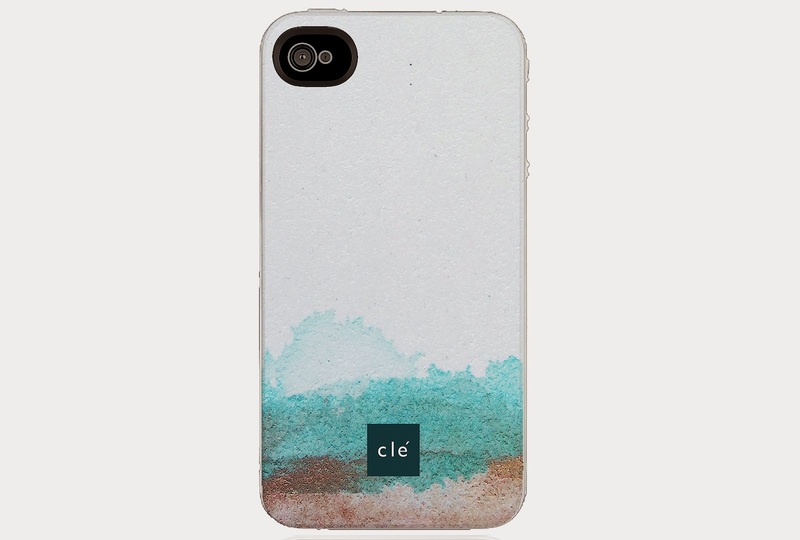 She is impassioned by remarkable surfaces and in 2012 started clé, the international artisan e-boutique and artist’s forum for discovery and conversation about tiles. Deborah calls clé a "modern shopping experience for tiles." 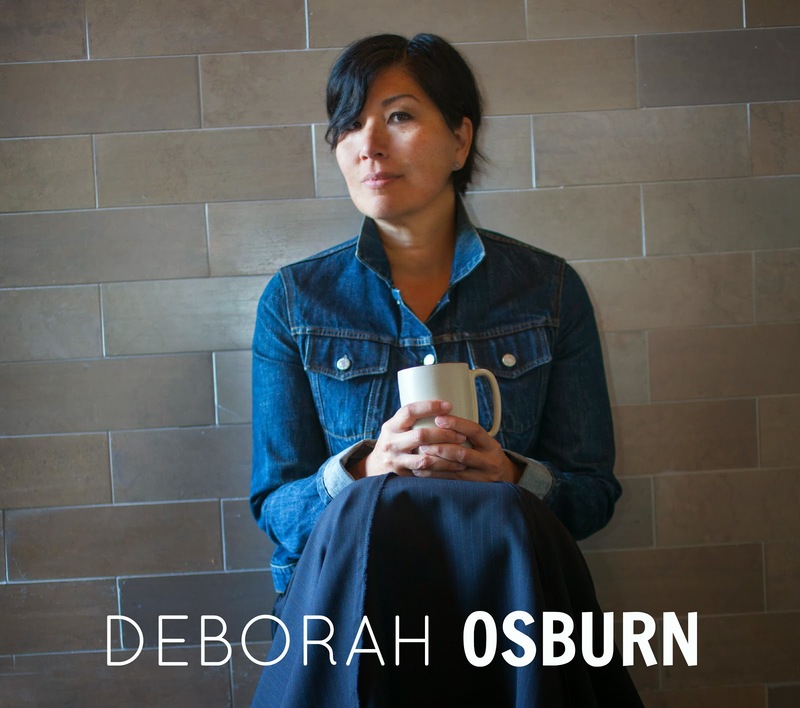 Osburn’s innovative thinking led her to new tile discoveries with indigo dye - launching a beautiful and painterly handcrafted porcelain tile collection called Watermark for Clé. The collection was inspired by Japanese textile dying techniques. The method is a combination of art and science. 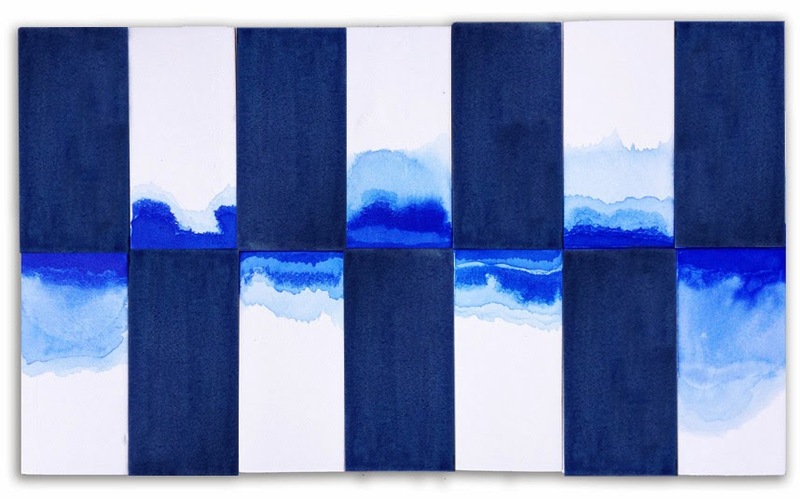 Several pools of indigo dye are created and each and every unglazed tile is hand dipped into one of the indigo pools. 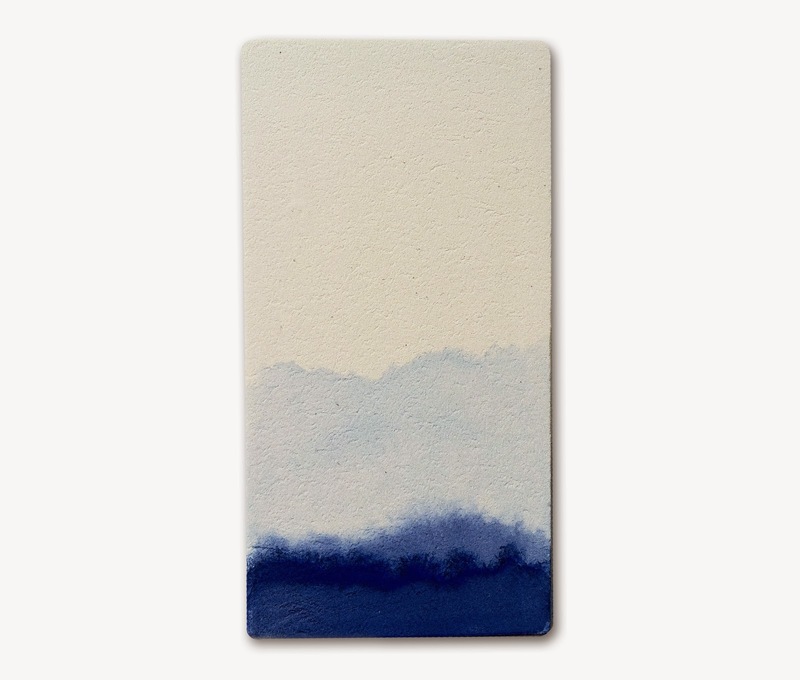 After days of sitting inside these pools, the tiles take on their own personality absorbing the dye in its own unique way. 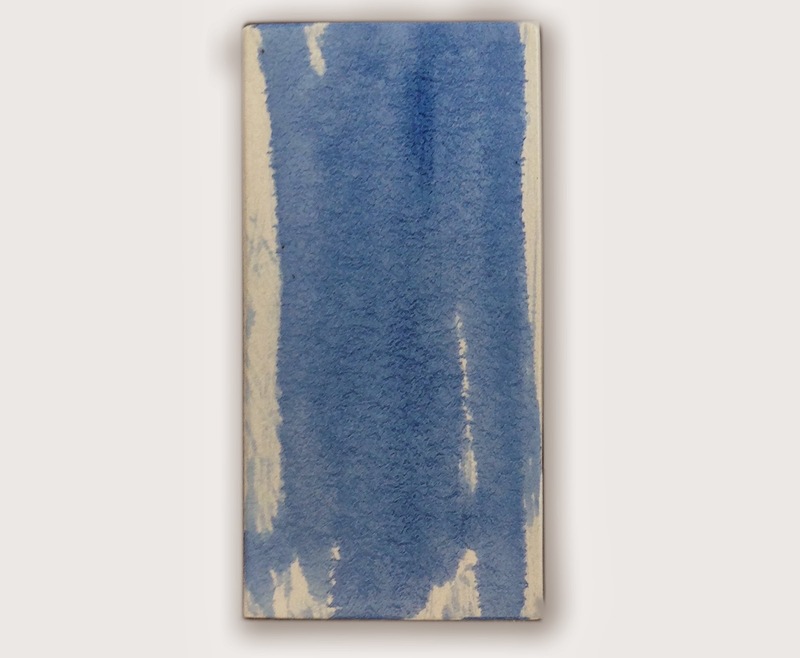 Osburn adds,"It's really indigo magic - something like tea leaves but with indigo and tile not brewed water and leaves. A method that reveals each tile’s individual DNA." I get completely bowled over by genius - Rauschenberg, Balenciaga, Radiohead, Mozart, Melville, the Psalms, Dylan, Shakespeare, etc. Just the knowledge that someone found the grace to "go there," it's great soil for the mind. Is this a tile I would want to own? If I weren't attempting to run a fast-paced wild hare of a tile e-boutique, I would spend all my time making watermark tiles. Any structure by the space poet- Carlo Scarpa, but I also love the impossible austerity of John Pawson. This advice has become easier (or should I say, less difficult) as I've grown older- "trust your initial instincts". If it zaps you from the start- it's worth a deeper look. I change it up often, because there are so many goodies! but for 2014 my mantra is FUN NOT FEAR! You can connect with cle tile on their Facebook , Pinterest and Twitter.